CE Credits: Dental and Pharmacists may be able to receive credit. Conference Registration: (All registrations are non-refundable). No registration fee will be charged for guests not participating in course social events. All Registration and CE fees payable at time of booking and are non-refundable . Conference registration is required to gain access to negotiated rooms blocked and activities. June 26, 2016 8:00 a.m. – 10:00 a.m.
June 27, 2016 3:00 p.m. – 4:00 p.m.
Late registrants (after March 15) cannot be guaranteed tickets as it is a prepaid event requiring early reservation due to limited space. NOTE: Based on the number of accepted submissions and registrations, up to 4 additional hours of academic sessions can be added to the conference program. The conference will have Continuing Education sessions as well as Academic Paper Presentation sessions. Select papers from the conference presentations may be invited for review and considered in the journals that the conference has relationships with: Hospital topics (the oldest journal in Health Care Administration field ), Health Care Manager (HCM), International Journal of Pharmaceutical and Healthcare Marketing (IJPHM). All conference attendees are encouraged to submit papers / abstracts for presentation in the "Academic Conference Presentation" part of the conference. All conference registrants are invited to attend and participate in both the Academic and Continuing Education portions of the conference. Professor Ashish Chandra is a Professor of Healthcare Administration, School of Business at the University of Houston-Clear Lake (UHCL), Houston, Texas, USA where he teaches healthcare ethics, healthcare marketing, and healthcare systems courses to graduate and undergraduate students. He also served as the Chair of the Healthcare Administration Department for over four years at UHCL. 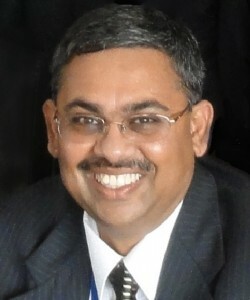 Prior to joining the University of Houston-Clear Lake in 2007 he was an associate professor and program coordinator of the graduate Healthcare Administration program in the School of Business at Marshall University, West Virginia, USA where he was a faculty from 2000-2007 and before that he was Assistant Professor of Social and Administrative Science in the School of Pharmacy, Xavier University of Louisiana in New Orleans, USA. All together Dr. Chandra has over 20 years of university level teaching experience in the U.S. Professor Chandra is one of the foremost authorities in healthcare and medical ethics, healthcare marketing, and medical tourism. Dr. Chandra is a prolific researcher and has almost 70 publications in journals, six book chapters, and over 200 publications in conference proceedings. He has conducted research and published numerous articles related to healthcare ethics, healthcare marketing and management issues. He actively serves or has served on the board of directors of several professional high profile professional and community organizations including: The American College of Healthcare executives-Southeast Texas Chapter, The Asian Healthcare Leaders Association, and the Community Health Charities of Texas. He has served as the President of four major international academic organizations in the United States - the Business and Health Administration Association; the Association of Collegiate Marketing Educators; the MBAA International; and the Federation of Business Disciplines. He has also served as the program chair of eight major conferences international conferences and has served on the conference planning committee for over a dozen conferences. Professor Chandra has received numerous awards and recognition related to teaching, research, and service throughout his career, including the 2015 Outstanding Professor Award given by the University of Houston - Clear Lake Alumni Association, 2012 the American College of Healthcare Executives Service Award; the 2011 Outstanding Educator Award from the Association of Collegiate Marketing Educators; Marshall University Distinguished Artists and Scholars Award - Senior Division (the highest research award at Marshall University); the Management Educator Medallion, awarded by the Charleston Area Medical Center (CAMC) School of Nurse Anesthesia and the CAMC Health Education and Research Institute; Lewis College of Business Alumni Outstanding Innovation in Teaching Award, Marshall University; Outstanding Researcher Award, Lewis College of Business, Marshall University; the Bright Idea Award sponsored by Stillman School of Business at Seton Hall University and the NJPRO Foundation; to name a few. He has also received over fifteen best paper awards at conferences or conference tracks, including three McGraw-Hill/Irwin Distinguished Paper Awards. He is an Executive Editor of the journal Hospital Topics and actively serves on the editorial board of several journals. He has over 60 journal article publications, has chapters or contributions in six books, and over 200 papers/abstracts published in conference proceedings. He has also made several keynote presentations at conferences and institutions. Professor Chandra is a well-recognized healthcare administration academician internationally. He serves on the academic advisory board of several educational institutions in Turkey and India. He has also provided professional consulting services to several healthcare and business organizations as well as accreditation and program review related consulting services to several institutions in the United States. Among the healthcare institutions he has provided professional consultancy include well recognized universities and programs, state public health departments, large hospital based educational programs, physician group practices, radiologic clinics, hospice care facilities, independent health professionals, to name a few. He has also provided training workshops related to several human resources management, marketing and marketing research, and business strategy development related topics at institutions in U.S. and India. Professor Chandra holds a Bachelor of Science (Statistics), Master of Management Studies (Marketing), and a Post Graduate Diploma in Computer Science Applications from the often ranked as one India’s top 10 universities, Banaras Hindu University, Varanasi (India), as well as an MBA (General Business/MIS), and PhD (Majoring in Social and Administrative Sciences/Healthcare Administration) from the University of Louisiana-Monroe, USA. He also successfully completed 60-hour leadership training workshop entitled “Leaders in Action”, has actively participated in several leadership training workshops offered by the American Council on Education, and has earned over 50 hours educational credit hours from the American College of Healthcare executives in the past seven years. Bill Stroube is Chair of School of Public Health, and, Professor and Director of Health Services Administration graduate and undergraduate programs at the University of Evansville, USA. 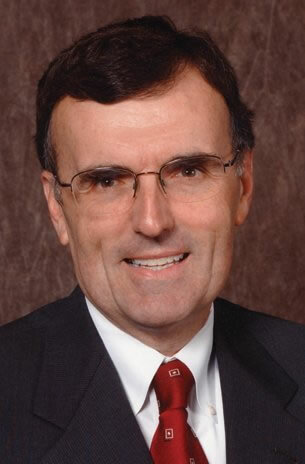 Before joining the faculty in 1998, he spent twelve years in management positions in the pharmaceutical industry, and eight years at the U.S. Food and Drug Administration in Washington, D.C.
Dr. Stroube maintains an active research program, and has authored and co-authored over 50 publications in peer reviewed journals and conference proceedings. His research and teaching interests include international health care issues, health care marketing and strategy, health care regulatory issues, medical ethics, and public health. He is a member and officer of several professional societies. He is past president of the Division of Biology and Medicine of the American Nuclear Society, and is past president of the international Business and Health Administration Association. He has served on the organizing committee for the past six International Conferences on Health Care Systems, including serving as General Conference Chair for the eighth conference in England in 2014. Dr. Stroube has extensive international experience leading student groups through several health care systems. Since 2000 he has taught classes in various formats in England, China, Hungary, Slovakia, and Austria. He was presented the University of Evansville Outstanding Teaching Award at the 2008. Dr. Stroube holds a B.S. in Chemistry from Murray State University, an MBA in finance from the University of Maryland, and a PhD in analytical and nuclear chemistry from the University of Kentucky. Family Suite w/ Balcony -2 bedroom Family Suite: A true experience of luxury and privacy. Enjoy spacious suites accented by only the finest touches throughout. And enough room to make a lifetime of amazing memories. These Penthouses are perfect for your whole family. Up to six guests can stay in these luxurious Penthouses that include a bedroom with a queen-size bed and a separate children's bedroom. In addition to the living area, dining area, private balcony and luxury bath with separate shower. Includes butler and concierge service. Mini-Suite - Our spacious Mini-Suites feature a sitting room, giving you extra room to spread out. Sliding-glass doors open to your balcony, and amazing views. Includes luxury bath and shower. These Mini-Suites sleep up to four guests, making them ideal if you want to bring the kids. They have two lower beds that convert into a queen-size bed as well as a sitting area, luxury bath with shower and additional bedding to sleep two additional guests. Because they are aft-facing suites, the view from your private balcony is truly amazing. Balcony (BA)- See the world like never before. Floor-to-ceiling glass doors open to your very own private balcony. Stylish and sophisticated appointments enhance these modern rooms.You'll enjoy every inch of these staterooms, with enough space to sleep up to four guests. The two lower beds can be converted into a queen-size bed and the convertible sofa pulls out to sleep two more. You'll also have a sitting area and floor-to-ceiling glass doors that open to a private balcony. Because these are aft-facing, the view from your balcony is amazing and truly unforgettable. Balcony (BB)- See the world like never before. Floor-to-ceiling glass doors open to your very own private balcony. Stylish and sophisticated appointments enhance these modern rooms.You'll enjoy every inch of these staterooms, with enough space to sleep up to four guests. The two lower beds can be converted into a queen-size bed and the convertible sofa pulls out to sleep two more. You'll also have a sitting area and floor-to-ceiling glass doors that open to a private balcony. Because these are aft-facing, the view from your balcony is amazing and truly unforgettable. OceanView (OC)- These Oceanview Staterooms are lower deck accommodations and can sleep up to three guests. Includes two lower beds that convert into a queen-size bed and additional bedding to accommodate one more guest, in addition to the big picture window. Total Approx. Size: 155 - 161 sq. ft..
Obstructed Oceanview (OG)- Up to four guests can stay in these Oceanview Staterooms. Includes two lower beds that convert into a queen-size bed and additional bedding to accommodate two more, as well as a porthole to enjoy the view.. Inside Stateroom (IE) - Cruise in cozy comfort and smart style. Modern inside staterooms are accented with appointments like a TV, sitting area, room service and more. 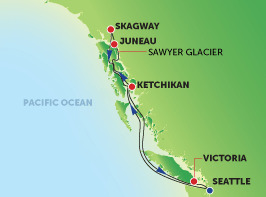 Inside Staterooms are the most affordable way for your family to cruise. With room for up to four guests, you'll have two lower beds that convert into a queen-size bed and additional bedding to accommodate two more. And of course, room service and many other amenities. Prices are Per Person, based on double occupancy and include port charges, taxes , fees and gratuities. Prices are subject to change.